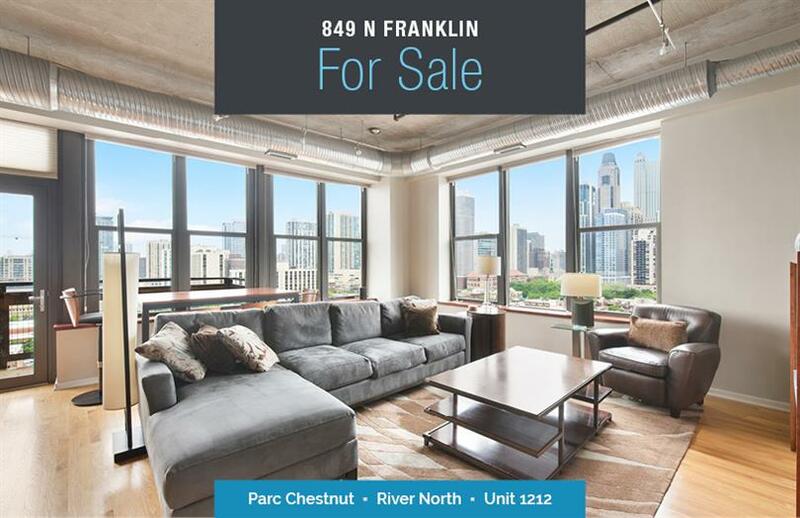 Elegant and spacious corner unit in perfect River North setting. Price includes prime 1st floor garage space (#39) and huge storage room (#6). Enjoy unobstructed northeast city skyline views from nearly every window! Huge open kitchen with granite countertops and island, all new stainless steel appliances. Lightology lighting throughout, Bisazza tile backsplash, integrated wine storage, hardwood floors, gas fireplace w/ surround and bookcase, in-unit washer dryer and marble bath! Good closet space and great layout. Large balcony off living room to grill!